The history of Jews in 18th- and 19th-century Poland is often a history of anti-Semitism, of social and economic isolation at the hands of a suspicious majority Christian population. But what if, under the surface, there was a strong element of comity between Jews and Christians? 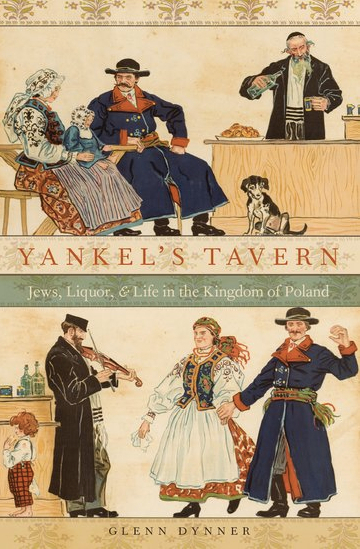 That’s what Glenn Dynner, a professor of Jewish Studies at Sarah Lawrence College, found in researching Yankel’s Tavern: Jews, Liquor, and Life in the Kingdom of Poland, a landmark volume that details how Jews carved out a lucrative niche as tavern keepers—thanks to an enterprising and accommodating Polish nobility. Dynner talks with Moment about this unlikely Jewish-Christian economic relationship. How did Jews first get involved in the Polish liquor economy? When they came to Poland-Lithuania in the Middle Ages, the best opportunities in the economic realm were in lease-holding. Nobility, in this really agrarian society, owned the vast majority of the land but they leased their enterprise to Jews. As grain exports began to decline, the nobility realized they could make a lot more money turning grain into liquor and selling it to their own peasants. They would lease taverns and distilleries to Jews, who were believed to be the only sober element of the entire Polish commonwealth. Many, if not most merchants were Jews by the 19th century and they could cater to traveling Jewish merchants. Jews were seen as a docile and politically non-threatening group. Most of all, Jews proved themselves to be good at tavern keeping, and once it became a tradition, the nobility refused to lease their taverns practically to anybody else. What function did the tavern play in Polish society, and what did that exposure mean for Jews? These taverns were much more than taverns. They served as hotels and restaurants and stores and banks; in the countryside they were the center of the village or the small town. This placed the Jew, an outsider, in a very powerful, influential position that made the locals both rely on the Jewish tavern keeper and resent the Jewish tavern keeper, mistrust him. There was, I think, a certain degree of envy over the Jewish position. This was not necessarily a high-status occupation if you compare it to the grain export trade, but compared to most other things this was pretty high status. It was being occupied by the quintessential out-group, who spoke a different language, had a different religion and whom many people were suspicious of precisely because they didn’t get drunk and socialize with them. It was what I could call a rough coexistence. People got along, but there was also a lot of underlying tension. What kind of tension? Were there outbreaks of violence? In the period I’m talking about, there are surprisingly few outbreaks of violence. What seems to happen is that there are occasionally incidents where a peasant will get drunk, he’ll get violent and the local nobleman who owns the tavern will probably punish him. That begins to change in the 19th century when social reformers begin to wage war against the Jewish tavern keeper. They hold the Jewish tavern keeper responsible for corrupting and impoverishing the peasants by addicting them to drink. They’re the ones who really raise tensions—the temperance movement eventually succeeds in making it illegal for Jews to sell liquor. Jewish tavern keeping was banned in rural areas in 1844 and roughly 20 years earlier in the Pale of Settlement. But as you point out in the book, this only sent the industry underground. At the local level, very few noblemen, and other local Christians, comply. What ends up happening is, with the complete assent of the local nobility, Jews simply prop up the Christian as a front for their tavern and continue on business as usual. That required an enormous degree of coexistence and cooperation to the extent that when state officials discover this is going on, the local Christians are actually covering for the local tavern keeper. They’re signing petitions, promising that their Jewish tavern keeper doesn’t really run a tavern and doesn’t really sell liquor to them. They’re protecting and concealing the local Jew, which is very different from the image of anti-Semitism and violence, which is what we think of when we think of the Jews in Poland. So Christians are protecting Jews, yet there still is quite a bit of anti-Semitism in Polish society. It seems as if the Jews struck a Faustian bargain of sorts. How did they reconcile this? The memoirists who report on the local situation in everyday Poland-Lithuania will talk about how the Jewish tavern keeper was willing to be insulted and abused and even beaten, because in the end he would get revenge by extracting maximum profit from the peasant by encouraging him to drink beyond what he can afford. This is a very hostile observation. If that happened all the time, I think the situation would have been too unstable. One thing I discovered about all the abuse and insults was that it might have originated in halacha, in Jewish law. In order to keep a tavern profitable, you had to keep it open on the Sabbath and festivals. The rabbis developed elaborate legal fictions to say if a Christian comes and demands a drink, using the threat of violence, even if it’s the Sabbath, you have to serve him. And what ends up happening is a bit of a farce. On Saturday, the peasant had to come in and threaten violence to the Jewish tavern keeper in order to receive his drink. So what you have are Christians helping Jews circumvent their own laws. When the state outlaws Jewish tavern keeping, Christians help Jews circumvent state laws. By the 19th century, virtually everybody wants to drive Jews out of tavern keeping—from the nobility to the clergy to Christian merchants to the rabbis themselves—everybody besides the local Christians who the Jewish tavern keepers are supposedly exploiting.